"Order flow trading is a simplistic but methodical way to exploit price movement for profit. This alone makes it popular, but the main reason so many users love it is because; order flow trading applies to every event on Betfair's Exchange"
Order flow trading is a simplistic but methodical way to exploit price movement for profit. This alone makes it popular, but the main reason so many users love it is because; order flow trading applies to every event on Betfair's Exchange. 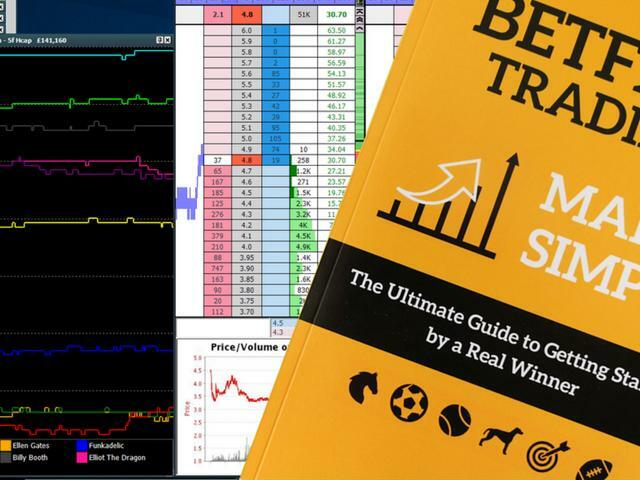 In this article, an extract from the newly released book - Betfair Trading Made Simple is shared. To understand order flow trading, it's beneficial to look at market support and resistance. Which comes from supply and demand. In essence, this is what we are trading. Support and resistance being the universal law that governs all pricing. Within a betting market, the more betting support for a particular selection there is, the more a price will shorten, known as a 'steaming' price in the racing world. Whereas if there is very little or no support, the price is resisted. Referred to as a 'drifter' in the market. In layman's terms, money talks. Betting support is a direct indication of what the overall crowd thinks will happen, including those in the know. So if you are able to read the flow of a betting market, you've got a real advantage - providing you can get your bets on at the price you want. In poor liquidity situations, this can be frustrating for order flow traders, experiencing price 'slippage'. Also, when a market has poor betting volumes, there is less information available to make an accurate judgement. Traders that rely on support and resistance, such as myself, are looking for indications within market activity to suggest movement. When an opportunity arises, we're looking to ride the wave. This subject becomes more complex, quickly. So I'll keep it light and give you 3 separate elements to think about that influence order flow trading. First, you have market sentiment and momentum. It stands to reason; if there is an imbalance within the market and a disproportionate amount of people are striking bets at a particular price, then the sentiment within the market will form momentum. Like a snowball rolling downhill, gathering more snow as it bounces. This doesn't mean that price action can't stop or change direction. However, when you consider that; profitable trading is thinking in probabilities, being right more often than not. This type of situation offers a bias within the market, in favour of momentum. It just makes sense to go with the flow. There are several ways to observe market sentiment while trading; visually it can be quite obvious at times. Look at the previous image; the market sentiment is certainly in favour of a shortening price. To the right of shot, you have the various volumes of money matched at that price. On the left, you have the immediate price movement. 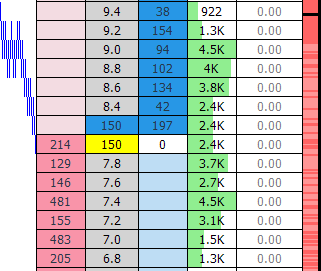 In the centre is market pricing and either side are the corresponding back and lay bets on offer. So, over the last 30 seconds, you can see the price has moved from [8.6] to [6.6], significant amounts of money matched in the process. It's important to say; the market momentum was not the only indicator for me to place a trade. It's always advisable to have more than one indication in favour of the same outcome, although in this case, it was quite obvious, making for a decent example. Initially, I wanted my bet matched at [6.4], but it wasn't to be. My opening trading position at [6.2] (back bet) wasn't perfect, but you can see how momentum continued quite quickly at first. Shortly after the previous snapshot, there was some resistance at [5.7] before the resistance was broken - continuing once more. 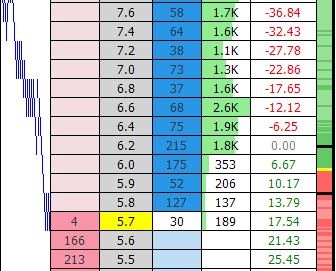 I exited the trade for a £21.43 profit on the race, before it had started. 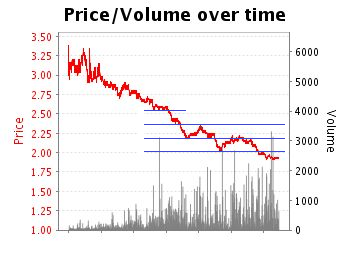 The price did continue a little lower, but with the horses loading into the starting stalls it was wise to exit. If you go back to the original snapshot, you'll see that between the first increase in support and the last snapshot there was £25,200 matched in bets, below the original price. From the images, you may have noticed price movement rarely moves in a straight line. It's completely normal; this happens as the support and resistance battles back and forth within the market. It also brings us nicely onto another element that influences order flow; resistance points. Within the market, there are a handful of 'natural' resistances. Beyond these, support and resistance will express itself depending on the volumes of money flowing into the market. The interesting thing about a resistance point are; once a resistance is broken, they're more likely to act as a further resistance, in the alternate direction. If you look at the first snapshot on the left, the price plummeted to [5.7]. At this point, the market stalled. While there was still money entering the market on the backing side of the book, layers money was quite happy to resist. Looking at the second snapshot on the right shows us this because 6.1K (£6,100) was matched at [5.7]. I wasn't so phased by this as I knew there was momentum and reasoning for a longer-term movement, although I want you to think about the point of resistance for a second. A resistance point within the market should be viewed as a point of indecision, where opinions are divided. On a betting exchange, you have a whole host of different participants, plenty of which are also trading. So, when a resistance point is broken - there is a group of people who need to exit their trade. Some will exit there and then while others will want to exit at their point of entry, all of this supports the previous resistance break. The overall effect being; a broken resistance often becomes a resistance once more (in the direction of the initial support). Take a look at this chart. I've put a couple of lines on to reinforce my point. It makes perfect sense why this should happen. You'll see it in just about every market at one point or another. However, it's not always so clearly visible. The third element to bear in mind when trading order flow is market liquidity. Both the unmatched volumes in the market, and the active money pouring on. Accurate measurement of money flowing into the market and your own betting positions is an edge in itself. Should you be trading a large event where there is high turnover, this edge is increased. Think to the likes of the Cheltenham Festival and Royal Ascot; this can be very useful. The same applies for high-quality football matches or tennis tournaments, before the start of a match (and maybe halftime too). When you can successfully read and respond to the flow of money in a busy market, it's possible to extract a return without having an opinion on price movement. In fact, in some cases, it's easier if the price doesn't move at all. This is commonly known as 'scalping the market'. The expression doesn't require a lot of explanation. It's simple; the objective is to get both your back and lay bets matched by the money entering the market, while protecting your downside (see the above image). Blink and you'll have missed it. To the left, a split-second after the first image. Only £44 of our lay bet remains unmatched. Next, to the right, a second or two after, the remaining £44 was matched. Just leaving an additional £3.66 hedge bet, to level our profit. 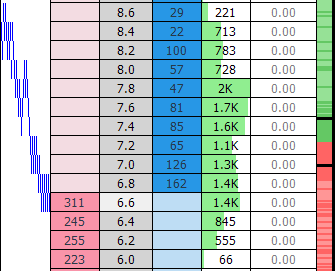 This type of trading is popular for obvious reasons. Although it's not quite as easy as you may initially expect. Many attempt it under the wrong market conditions and allow their emotions to affect decision making. The fear of missing out, hesitation, over-staking, greed and not managing risk is the undoing of any new trader, more so with scalping. For those who want to explore this angle some more, there's plenty to digest at caanberry.com. Want more? 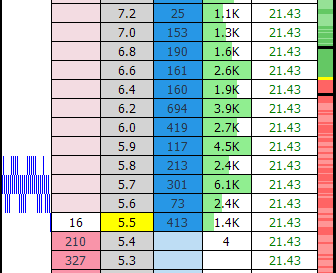 You can pick up a copy of Betfair Trading Made Simple by Caan Berry here.